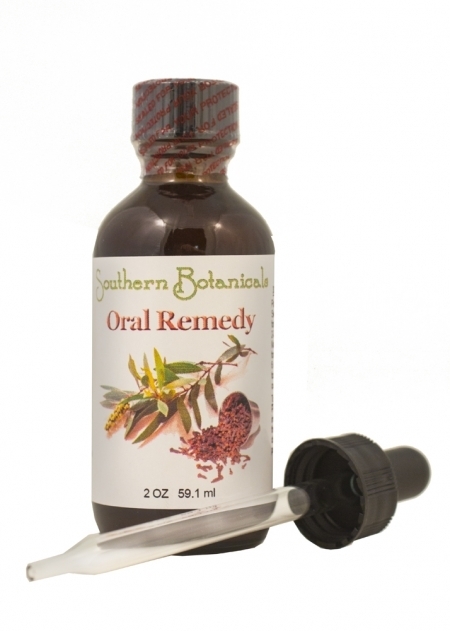 Oral Remedy Concentrate is an herbal and essential oil combination beneficial to support healthy teeth and gums. When used daily for a period, it will increase circulation in the mouth tissues, helping to nourish teeth, bone and gums and carry away wastes, and can tighten gums. Oral Remedy Concentrate contains no sugar or other sweeteners. The nutrient, essential oil and herbal properties in this liquid concentrate absorb directly in the mouth as you swish or hold it in the mouth. Gum disease and cavities are caused by dental plaque (a sticky, colorless film made of numerous bacteria in your mouth). If this plaque is not removed daily by brushing and flossing, it hardens into tartar within 48 hours. This is more difficult to remove and usually requires a dentist or dental hygienist. Take care of your teeth. Avoid costly gum surgery. This is the 3rd or 4th bottle of Oral Remedy Concentrate I've ordered and I really like it. Sometimes I have tooth pain and if I brush with Oral Remedy added to my sensitive toothpaste, the pain goes away. I have had two root canals over the years and don't intend to have any more. Using the Oral Remedy has so far gotten rid of the tooth pain and kept me from having to have another root canal. I plan to brush with Oral Remedy on a daily basis. Thanks again! - R.D. I love Oral Remedy Concentrate! I have a crater size pocket in my gums that causes me pain. I put this concentrate directly on my gums a couple times a week and it makes them feel so much better. I really love this concentrate and don't want to be without it. - S.B. My daughter, like many teenagers, has had to experience the pleasure of wearing braces. The constant rubbing against her gums. tongue and cheeks was extremely irritating. She started using Oral remedy about a month after getting her braces put on. Because it's a strong formula, she would dilute it with water. It helped with the gum irritation as well as healed the broken skin on the inside of her cheeks. One of my family members had long-term gum issues and the doctor sent him to a specialist for gum treatment. He was given a plan for over $1000 to treat his gums and when he showed me the plan it seemed expensive and scary with the amount of cutting involved. He put Oral Remedy on his gums in the morning and evening, or when he had severe problems. After his gums got better he used a few drops of Oral Remedy on his toothbrush for six months and it cleared up. Now he keeps it on his nightstand just in case. My friend also tried Oral Remedy, shared it with a coworker and others asked about it including her head boss. Yesterday my friend told me her head boss came up to her and said before she used Oral Remedy she was told by her dentist that she couldn't have a deep cleaning done and needed gum surgery. I recently went to the dentist for a check-up and upon his examination of the x-rays, he discovered that one of my teeth had developed an abscess, and he spoke of it as though it was in an advanced stage. Although I had not been aware of it earlier, upon his pointing it out I realized that I could indeed feel the pressure in my upper gums and jaw when I bit down. Before pursuing extraction, I decided to try a natural remedy and so, after doing some research, I purchased and used Oral Remedy Concentrate. I use it to rinse every evening, just before going to bed, and sometimes also in the mornings. Almost immediately I could feel the difference! The pressure lessened almost right from the start, to the point that it is now practically non-existent . After I had used it for a few weeks I noticed that a blister had formed in my mouth, above the tooth, and about a week ago the blister popped, releasing what I assume to have been the toxins that had built up from the infection, the infection that I am confident Oral Remedy helped my body to get rid of. Ingredients (*Organic, +Wildcrafted): Echinacea Augustifolia* and Purpurea*, Bayberry bark+, Oak bark/gall, Tea Tree oil, Cayenne pepper*, Peppermint oil* and Clove Bud oil in a base of distilled water and certified organic GMO-free alcohol..
Echinacea Augustifolia and purpurea supports active blood cells. They are well-known as herbal immune supporters. Tea Tree Oil has remarkable properties which make it a powerful herb for teeth and gum health. It is a strong organic solvent that dissolves the lumps of white blood cells that make pus and allows your blood stream to clean them away. It's also feels soothing and mildly cooling on application. Bayberry Root is astringent and stimulates lymphatic drainage which helps support healthy mucus membranes. 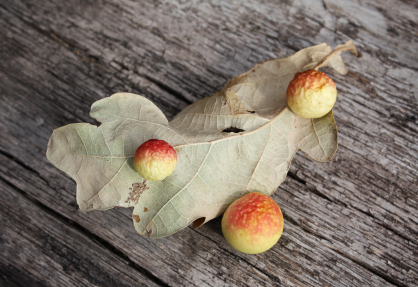 Red Oak Bark & Galls are high in tannins, which are astringent, bitter phytochemicals that have long been used in Chinese medicines to tone tissues. Cayenne gets circulation where it is needed. Cayenne moves blood carrying nutrients to the cells and carrying wastes away. Peppermint Oil is cooling and soothing as an essential oil. Clove Bud Oil is antiseptic and contains beneficial minerals. This essential oil has also been used for centuries to reduce discomfort from a toothache. Add 1- 2 dropperfuls to 2 ounces of water and swish in the mouth through all the teeth and gums for at least a minute, then spit out. May also be taken undiluted, if desired. Oral Remedy Concentrate can also be massaged daily into the gums using a cotton swab. You may use 6 drops of Oral Remedy Concentrate directly on your toothbrush. Oral Remedy Concentrate is a great short-term alternative to tooth paste. It can also be used with a water pik for great results. Place 4 to 6 dropperfuls of the formula into a water pik reservoir along with warm water. Use the strongest setting that is comfortable for you to help it reach all areas well. Use daily for a week or two and see how you feel! Echinacea may reduce the effectiveness of medications that suppress the immune system. For this reason, people with an autoimmune disease or people receiving organ transplants who must take immunosuppressant medications, should avoid this herb and product. People with allergies to plants in the daisy/ragweed family should not take Echinacea unless they do so under the supervision of a health care provider. In rare cases, Echinacea may cause allergic reactions, ranging from a mild rash to anaphylaxis (a life-threatening reaction accompanied by throat tightening, shortness of breath, and, possibly, fainting). Discontinue taking Oral Remedy immediately if you experience any adverse reactions. Gum Disease's Kryptonite: Tea Tree Oil In the battle against gum disease, a natural remedy steps up.